On a scale of 1-10, how high would you rate the food you got from that food truck down the road? I think it’s fair to say that you’re leaning towards a 1 or 2. 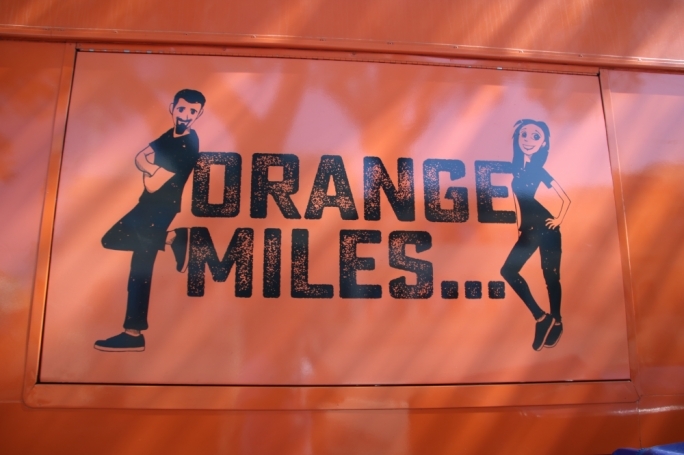 However if you’d like to enjoy your lunch more than you ever thought possible, Orange Miles has got you covered! 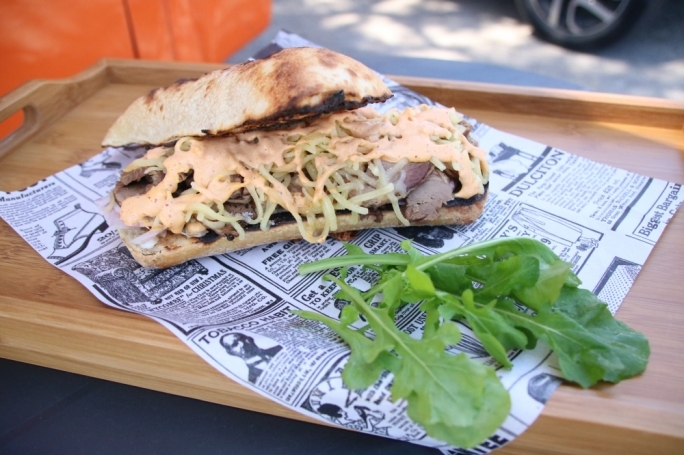 We meet Chef Mark Gauci to discuss what led to this new age street food business. 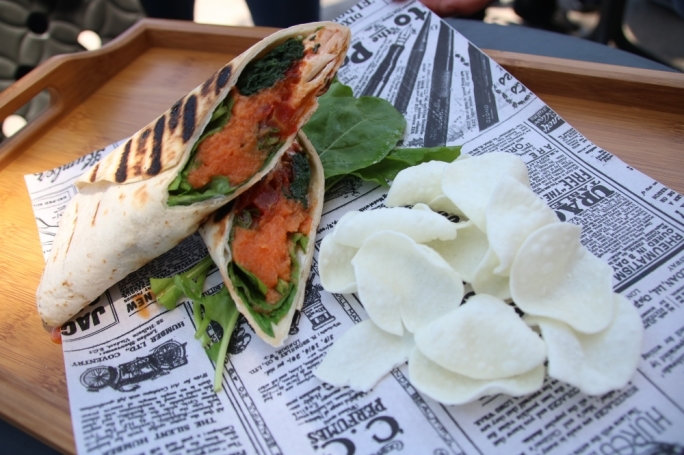 Orange Miles, a food truck located in Ta’ Xbiex, prides itself on serving food from all around the world, made with only the highest quality of ingredients and the most exceptional of flavours. What’s more, said delicious food is served to you by the friendliest couple I’ve ever had the opportunity to meet. 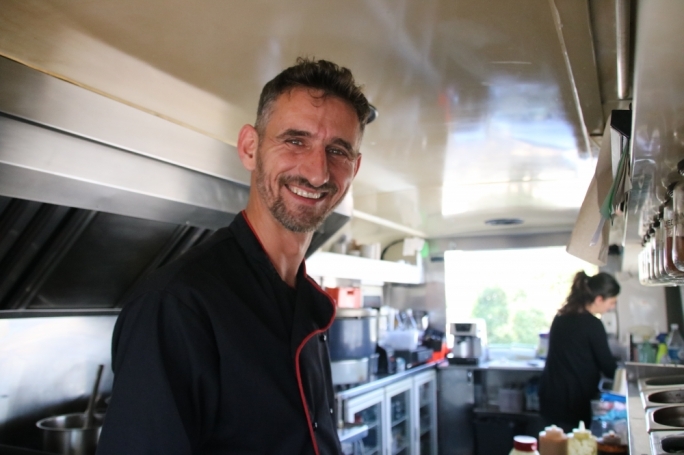 Mark explained how everyone loves some sort of element about the truck, ranging from the design, to the menu, to the way in which the food is served. The most frequently asked question? Where the truck’s name comes from! 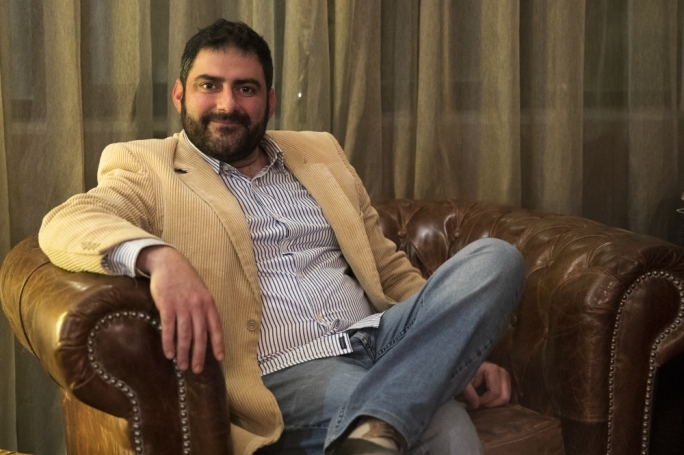 During our meeting, Mark spoke of his 27-year-long colourful culinary career, which kicked off at the Manhattan restaurant in Ta’ Xbiex back in the early 90s. This was followed by a stage at Marco Pierre White’s three Michelin star ‘The Restaurant’ in the UK, all of which laid the path of success for former chef patron of an elite restaurant and award-winning “Chef of the Year” in 1996 and 2006. 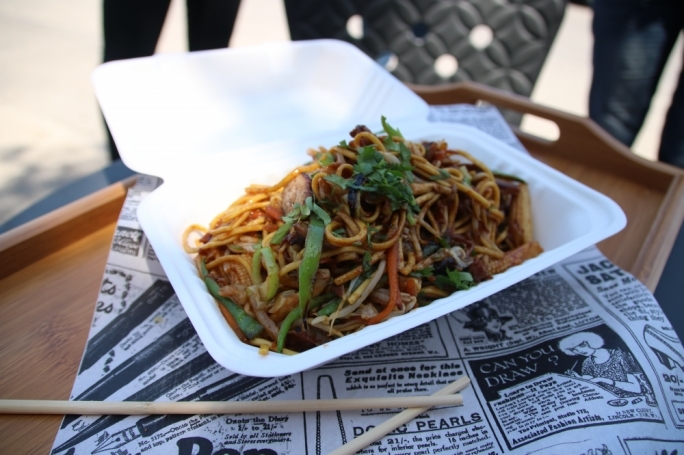 The question remains… why opt for the food truck experience? For Mark, the answer is simple - Freedom and Excitement. It was at a massive festival in Portugal, which featured countless eye-catching food trucks, where Mark had some sort of epiphany. “Somehow me and my partner imagined this in different worlds, and we have put our food truck together the way we always thought would be”. 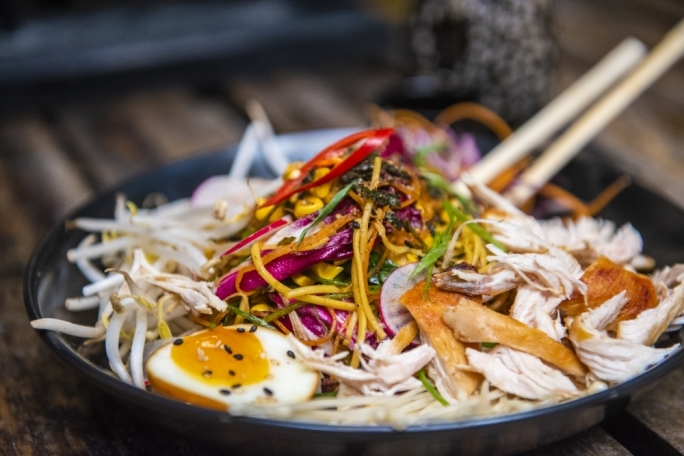 They began by creating a DIY wooden oriental style food stall called ‘Asian House’, which still operates in massive local events serving popular Asian dishes featuring live cooking and a great ambience. 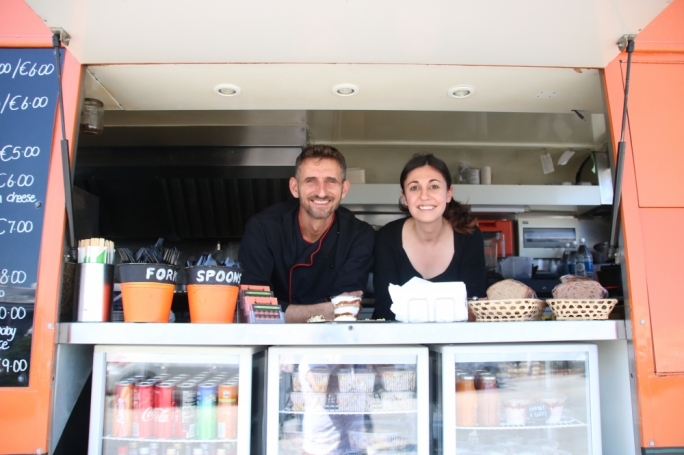 Just a few months later, they were presented with an opportunity and in just 18 months, following a series of hard working days, the couple refurbished and achieved their long-envisioned food truck dreams. 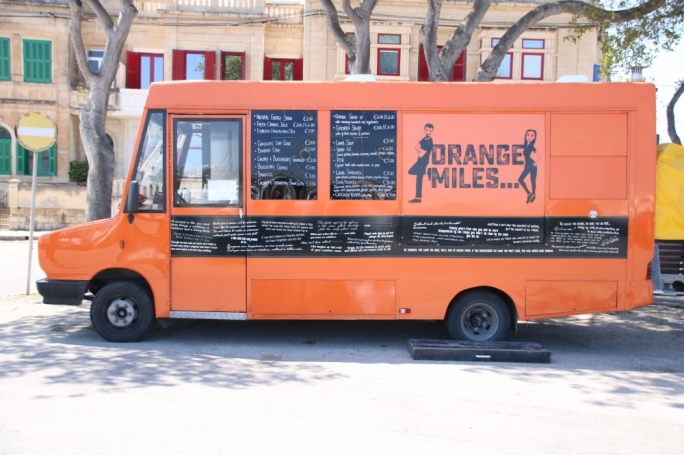 Orange Miles: a food truck concept much like the ones we’ve all seen on TV. 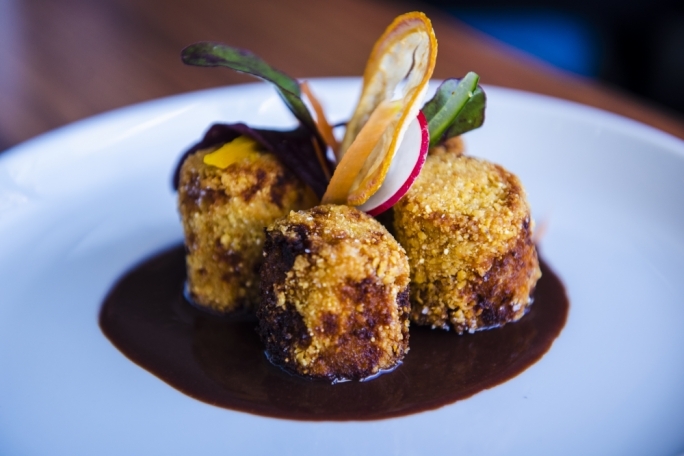 Incredible chefs, who refuse to cook with anything but the very best; pros at creating signature dishes customers eagerly look out for on the menu. Just to make the deal even sweeter, this haven on wheels has a menu that changes weekly. 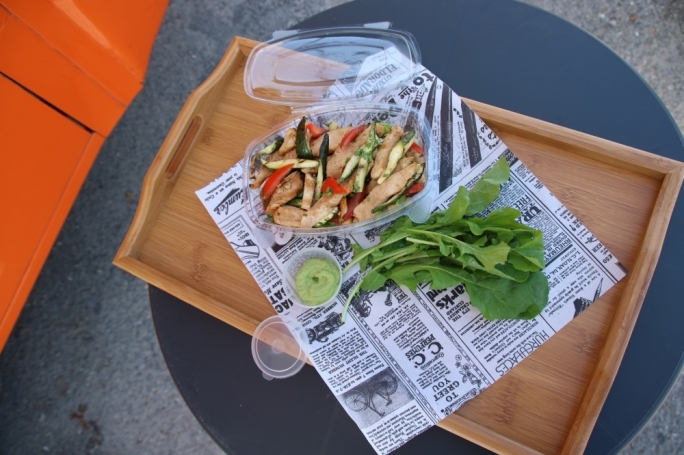 Find yourself yearning for last week’s dishes? Not to worry. They’ll be back. In the meantime, I can guarantee that you won’t be disappointed by what’s on offer at any given time. Hand on heart! Did we actually try any of his food, I hear you ask? Dare I say we tried too much. We shamelessly tasted almost every item on that particular menu, with each and every option being more delicious and tender than the previous one. Changing the menu but staying true to the concept, Orange Miles strives to serve something to cater for everyone’s tastes. 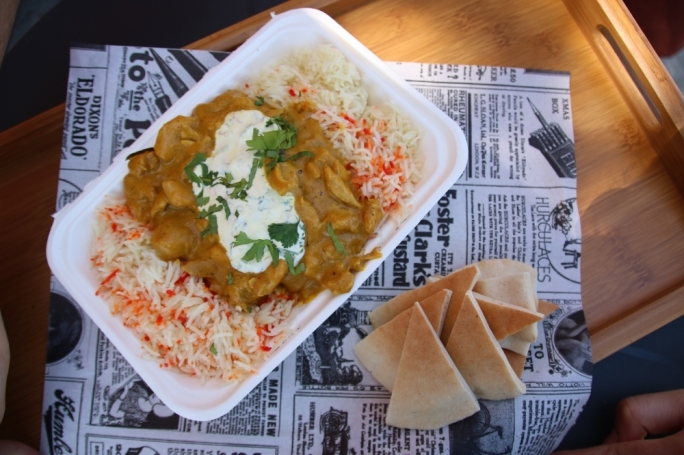 From a variety of options on the grill, to the sought out stews and curries. Who said vegetarian food has to be boring? Its often been said that food and travel go hand in hand; a theory Mark is extremely familiar with. Over the years he’s travelled far and wide, high and low, in pursuit to taste and learn about different cuisines, ingredients and spices. “You learn and respect food so much more when you actually feel the ingredients in your hands” he said. His passion and love for what he does is clear, and its reflected in all the best-selling dishes; The famous Jamaican Jerk Chicken, the Pad Thai Noodles, Tom Yum Gai, Adobo Spare Ribs, and the scrumptious Lamb Sandwich. Whether you’re looking to try something hot and spicy to give you that extra kick to your day at the office or a fresh, hearty salad to keep your energy levels high throughout your busy day, Orange Miles it is! What’s in the pipeline? 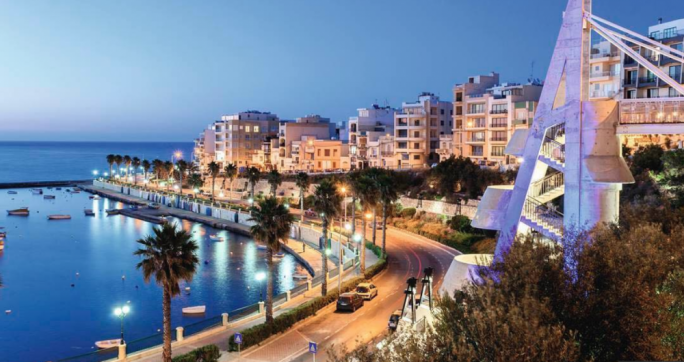 As of this week, another busy summer is set to kick off for the truck following their success last year, be sure that you can find them parked at various prominent events around the island. 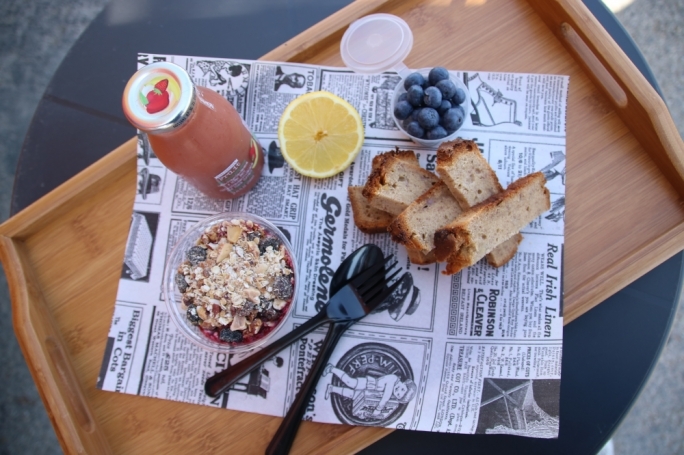 What’s more, Orange Miles are also set to launch their very own delivery service in the coming weeks, making the process of ordering and having your delicious lunch served right to your door as simple as ABC. Up for some genuine feel-good food? Make sure you follow Orange Miles on Facebook to stay updated and bon appetite!